I still would like someone who espouses more on the parks like he did. He filled a void left by Al Lutz for me as others only provide small tidbits instead of larger stories. But Al Lutz wasn't nasty or negative. I think Spirit could have accomplished a lot more instead of just ranting on here to us. I understand the void left and how some think he filled that, and at times he might have. At least the site that shall not be named is calling WDW and Disneyland out on their lack of maintenance. FINALLY someone is doing it. Why wasn't Spirit doing that? He seemed to come around to rile some folks up and toss in some nuggets of info. When it comes to inside info, I want to know decisions made; not who are on the ins or outs and who's fighting with whom in the corporate structure. Because we all know that when people relay office politics, it's always skewed to their point of view and, thus, not totally trustworthy. IOW, the source of internal politics is too often not a reliable reporter even if their take is relayed accurately to us. And so, I value the loss of office gossip as not much of a loss. Worth noting that there was a lot of narrative during the Spirit posting era that there was ZERO talent left at WDI and that they were incapable of rising to the challenge again to lead the industry. Pandora was going to be a disaster. It was narrative, not truth. First degree battery was only mentioned because it happened to be included in the entire Orange County Jail document on Jim Hill's criminal record. The crime that was relevant to the conversation was theft. Jim had been a repeat offender for shoplifting merchandise from a gift shop inside Disney World. And he was banned from Disney property for a good while (don't know how long). Lee brought this up because Disney lifted this ban and started to form a relationship with Jim. Jim is now a famous Disney blogger (or was, dunno if he's as well known today as a few years ago). I gather he's been mentioned in some of their official media, he gives tours and has been invited to many events including D23. Among other things. I think Lee felt Jim Hill's relationship in particular felt even more sinister and gross than the others. Almost like extortion, Disney being willing to forgive and even reward his theft as long as he plays nice and does what they tell him. the problem with "social media influencers" is they're inherently for sale. most don't disclose the perks the get (something journalists do), and don't necessarily see themselves bound to the same code of ethics journalists are. now, when you're a consumer who pays attention to the product closely and can cut through the bull, who cares, right? except the more prevalent and prominent social media brand advocates become, the less disney has to interact with the real media. and that allows them to pawn off an inferior product, or cover up stories with big real world implications, etc. I follow a bunch of v/bloggers and they always mention when they're paying out of their own pocket or are being comped. Some won't even do a review if comped, they'll just document their experience and then do a review after they've paid for it. Yes, that's anecdotal. But so is the claim there are lots of v/bloggers secretly "on the take." Is that just like the patently absurd claim that an event with thousands of participants is 'filled with bloggers'? IOW, I'd need to see some sort of proof that these freeloading pixie dusters exist, and it'll need to be more than just pointing out two of them. Remember how he chose his current avatar to make light of the boy who was killed by the alligator at GF? I think that is what sealed the spirit's fate around here. And whoever designed the scenery was really bad at forced perspective effects. Forced perspective industry wide seems to have somehow fallen into this complete misunderstanding that it is nothing more than things being smaller. I think there are still some very high quality examples of forced perspective effects outside of New Fantasyland. Both by Disney and Universal. The two Harry Potter lands are extremely good IMO (for the most part). And I think the imagineers did a fantastic job with Cars Land and more recently Pandora. It's really the New Fantasyland content that gets to me. All of the mountains and buildings, and even the scenes inside of the Little Mermaid ride. Someone really messed up. It does seem to be a dwindling talent compared to decades ago however. I have a theory that the examples of poor forced perspective effects are partially correlated with there being far fewer Disney animators who have a lot of experience in 2D animation. As well as people who know how to design elaborate physical sets for live action movies. For the first several decades after the theme parks opened, Disney had already amassed an army of insanely talented and experienced artists who had proven their mastery with hand drawn animation. They also had people with experience designing physical sets from their live action movies. The animators had a good understanding of how to make 2-dimensional scenery and characters appear to have depth and dimensionality. They were also used to oversee and design the parks and their environments as well, and no doubt this experience paid off. Even looking at an ancient scene like the flight over London in Peter Pan's Flight (WDW version), its sense of scale hold up today. 3D animation is vastly different than 2D. I'm not saying CGI animation is "easy" to do either, far from it. But I think it's fair to say that CGI requires less knowledge and experience with forced perspective effects. Reason being that in a simulated computer environment, size and scale doesn't pose as much of a concern compared to a drawing. You can create areas and objects as large or far off as you want with relatively little limit. And over time, computers and software have also gotten infinitely faster and smarter. Lighting effects for instance can be auto generated by powerful computer hardware (though obviously artists will tweak this for stylistic purposes). Theme parks have space limitations that a simulated CGI movie scene won't. So creating the illusion of size, space, distance and all the other elements involved in forced perspective effects can be a challenge for someone not accustomed to working within these sorts of limitations. Those who have experience in this field, such as classic 2D Disney animators and people who specialize in physical movie sets are going to be more adept at this sort of thing. At least this is my take on things. But...those decisions made are very much the result of that corporate infighting. It's how one comes to understand how and why TWDC makes certain decisions. For just the results, without any understanding of how they came to be, it suffices to read the Disney Parks Blog. 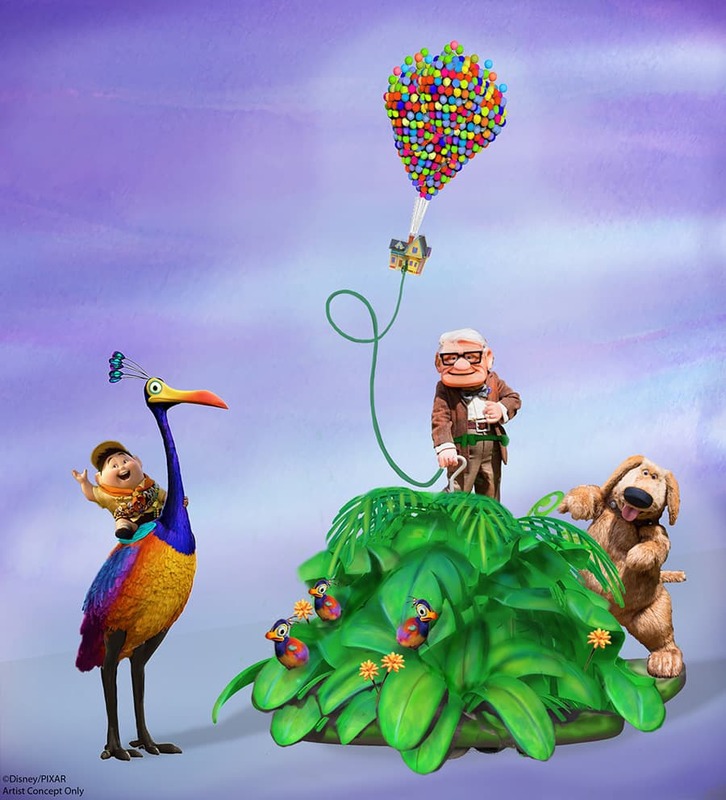 Even Disney's recent concept art for attractions aren't as interesting or as detailed as the older ones did. 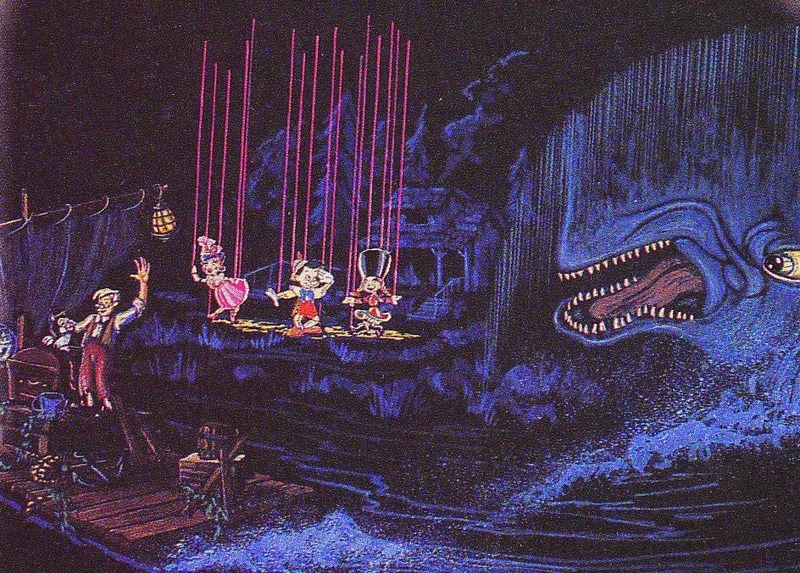 Disneyland's Fantasmic is the best example. 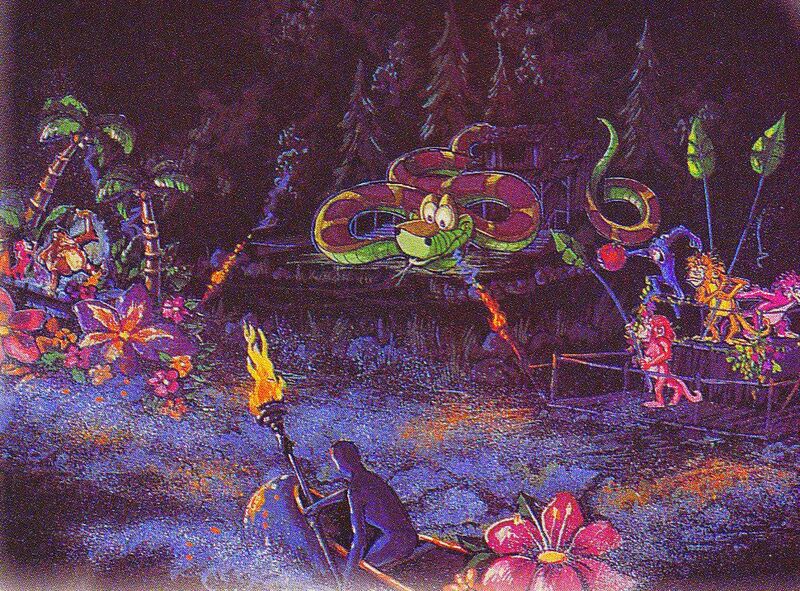 Older concept art such as the original version of "Fantasmic" had more details and made things pop out more. Compared to the concept art for Aladdin where it looked like it was photoshopped. 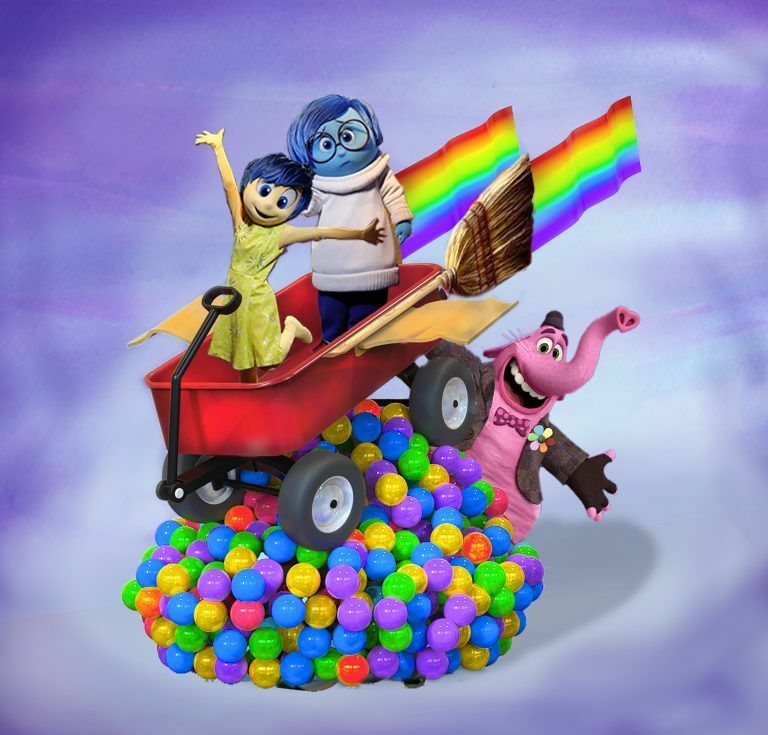 Some modern concept art would just use random stock images of various Disney or Pixar characters such as the concept art for the new floats for "Pixar Fest". It's highly unlikely you're going to get a clear picture of the infighting. People slant the story to their benefit. And then when it gets filtered through someone with obvious grudges against certain people... you're simply not getting anything close to an accurate picture. So, why then trade in the gossip? It'd be different if there was some outside journalist or historian who interviewed all sides and reported the controversies. There was a time when there were more individuals reporting on internal politics. i'm a PR professional, so this isn't really a hunch on my account. i've run programs with bloggers where we either loan or straight up give them the product. the idea isn't a "pay off" or a explicit quid pro quo, but it's human nature: you're far less likely to speak poorly about someone who gives you something for free. that goes double when we're talking about fans who are doubling as influencers. for years, my second job ("side hustle," for those of you who want to subscribe to the post-recession re-branding) was as a sports blogger for a prominent regional sports network, then later, a team-centric baseball clothing brand. when a team i covered started reaching out to bloggers and providing them access to special events or to media conference calls, it wasn't really out of the goodness of their heart; the team wanted to ingratiate itself to the fan base of which bloggers are the most fervent. so to tie it all around to disney: let's say you're a married father of two kids who lives in the orlando area and writes a disney blog. if disney invites you to special events and provides access for free and makes these otherwise-unattainable experiences available to you for free, why would you bite the hand that feeds you? why would you write something remotely critical? and once that blogger reviews something and gives it a glowing recommendation (whether it's good or not), disney now gets that coveted third party endorsement that other families go looking for when they're planning a trip. don't have a ton of time today, so that might not quite be as exhaustive a post as i want it to be, but i think it should underline the basics. that's excellent, seems like you follow the good ones. personally, when i blogged, i applied journalistic ethics to everything i wrote. i take the industry's ethics incredibly seriously. on the occasions i broke news, i never did it without having it cold (two, independent sources), i quoted honestly, i gave proper credit/attribution to others, etc. not saying i'm so great, just saying that not everyone who blogs/vlogs went to j-school and cares about those things. i'd be happy to see a trend move things into a more legitimate direction, so i'm encouraged by your experiences.